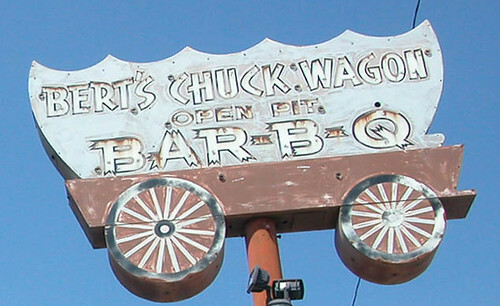 An article in today’s Madison County Journal reports that Bert’s Chuck Wagon restaurant has removed its landmark sign and will be reinstalling it inside the restaurant’s new home. In a turn of rather thoughtless planning, the landmark restaurant’s A-frame Googie building will be demolished for the widening of Illinois Highway 159. Of course, many Metro East cities’ downtowns have suffered when state highways are routed around them. Collinsville at least will still have the highway running through the heart of town. 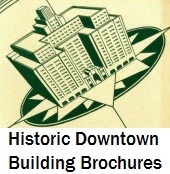 This entry was posted in Collinsville, Illinois, Mid-Century Modern, Neon, Signs. Bookmark the permalink.